Pharmacy patients — recurring medication orders. Retail customers — one time or monthly vitamin orders and healthy gadgets. What medication or retail items to expect in any given shipment? How can I edit or change my shipment? 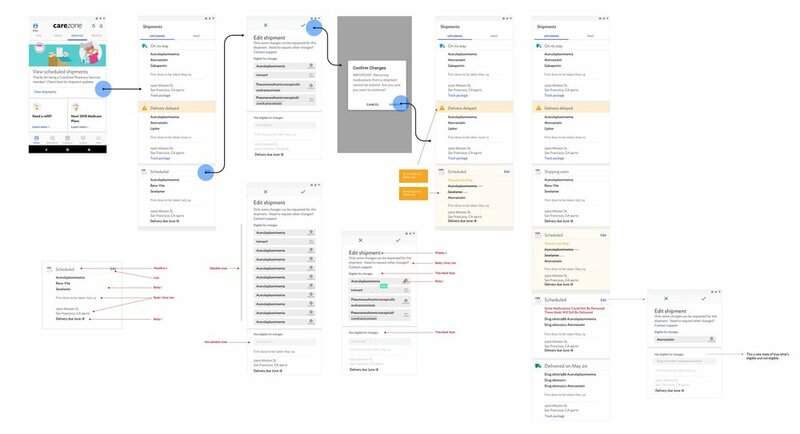 I was a team of one and led the shipment design experience from competitive study, sketch, wireframe, prototype, design, design specs, QA to launched the web and app. 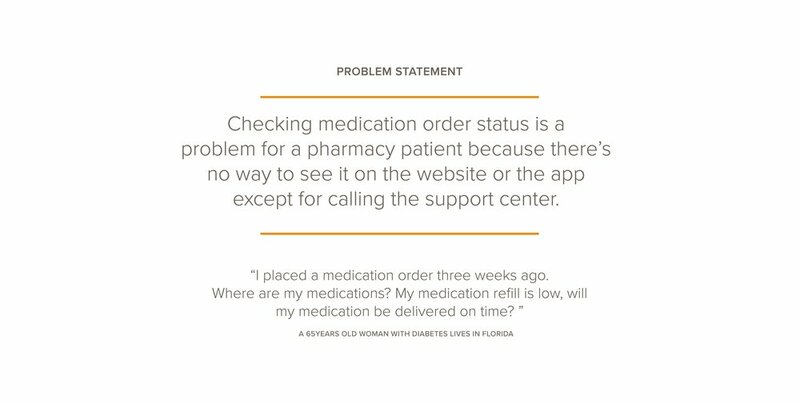 There were two back-end platforms: one platform was for pharmacists to use for all the medication orders and statuses; the other one was for customer support representatives to check on all medication statuses. 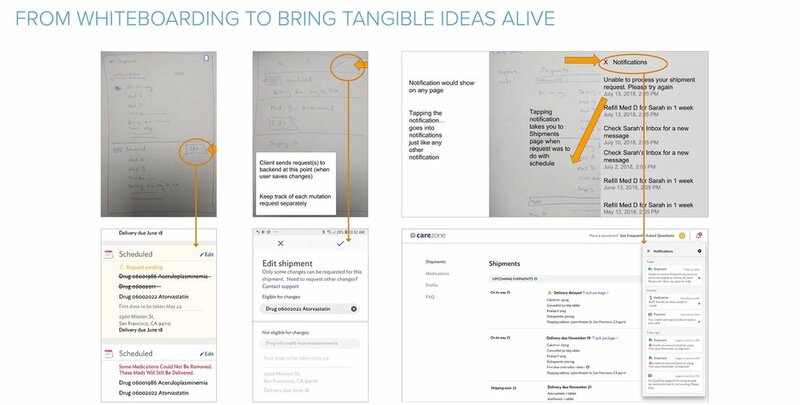 However, the challenge was these two platforms were not talking to each other, and not talking to the mobile app, so it required lots of manual work from both customer support and pharmacists. The process was not intuitive and lacked efficiency and accuracy. Hence, we wanted to build a Shipment Center to enable self-serve ability to any needed changes to those shipments.